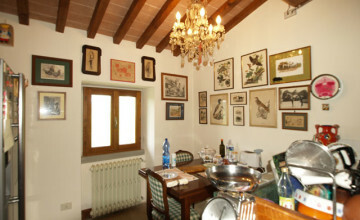 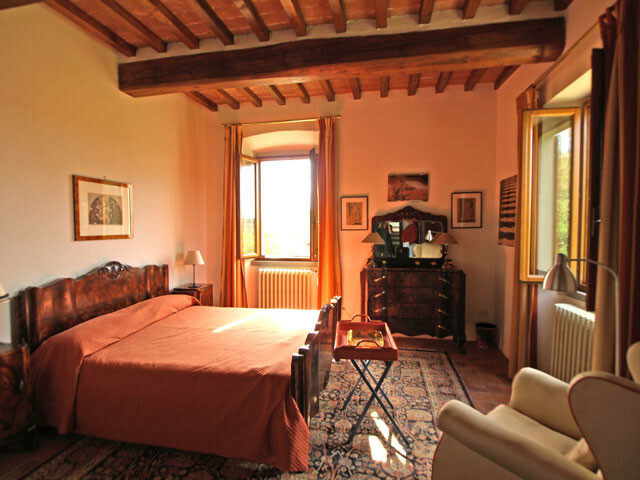 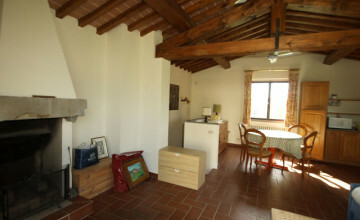 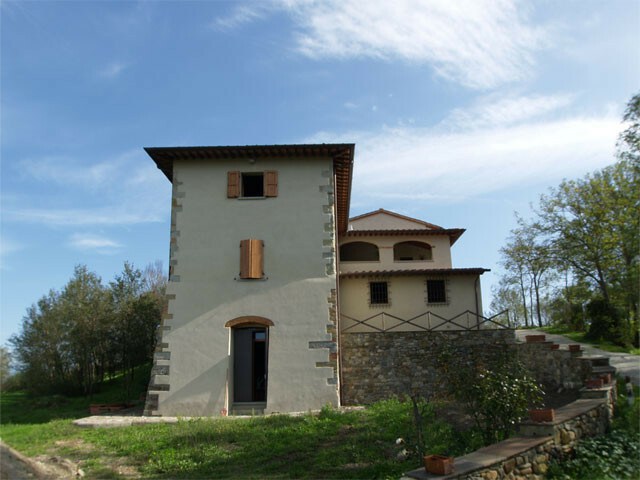 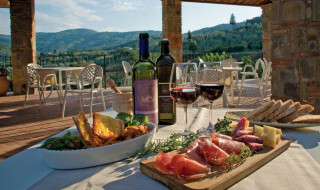 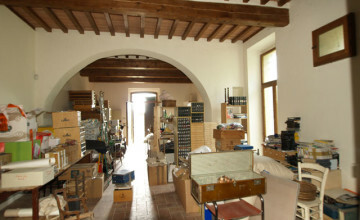 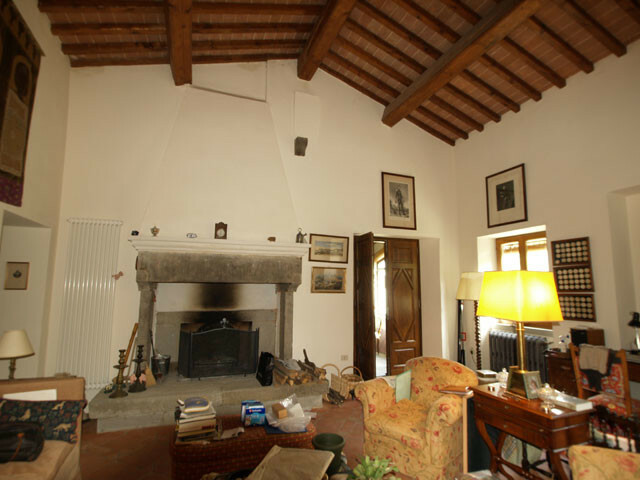 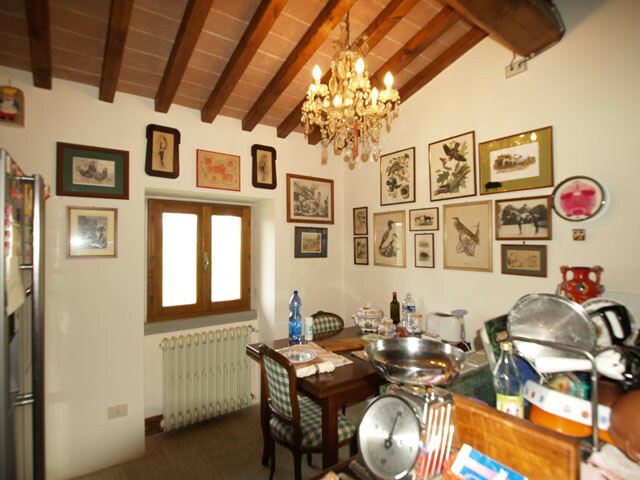 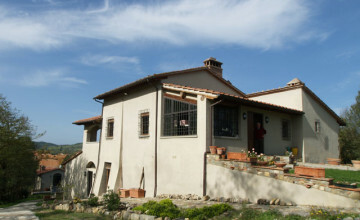 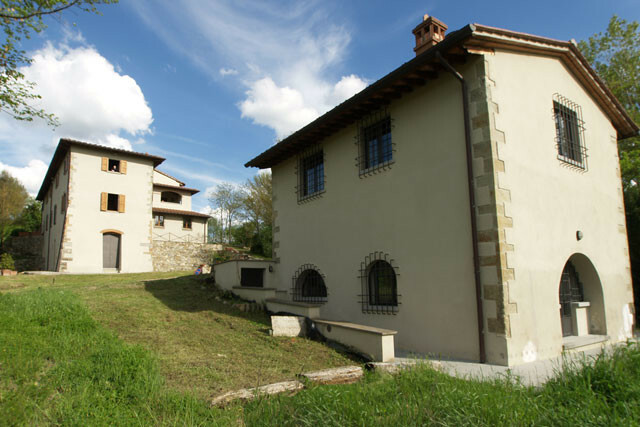 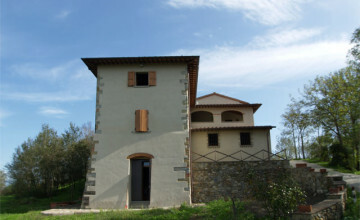 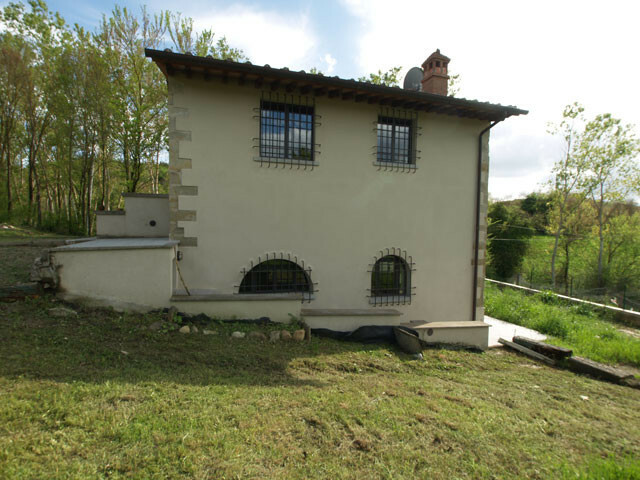 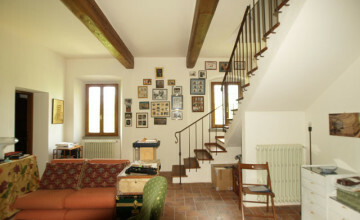 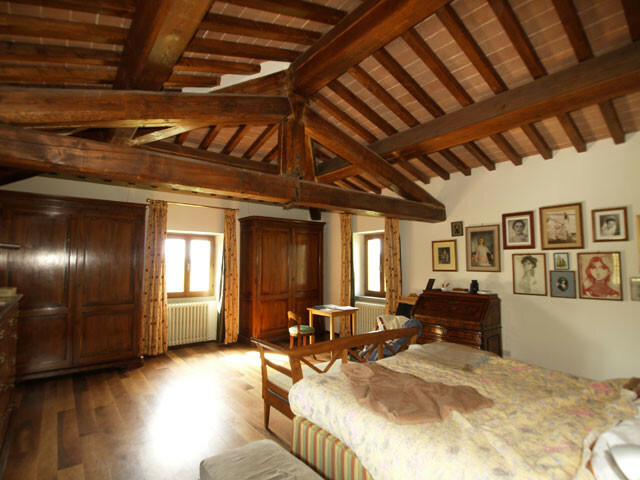 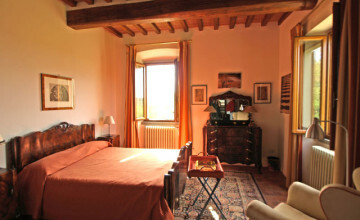 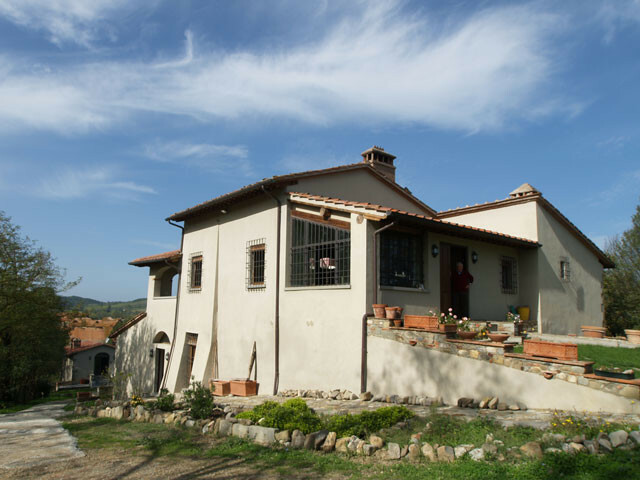 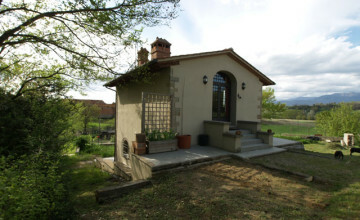 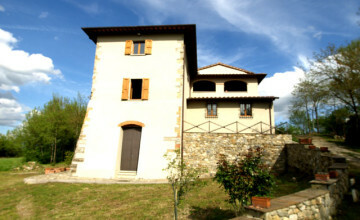 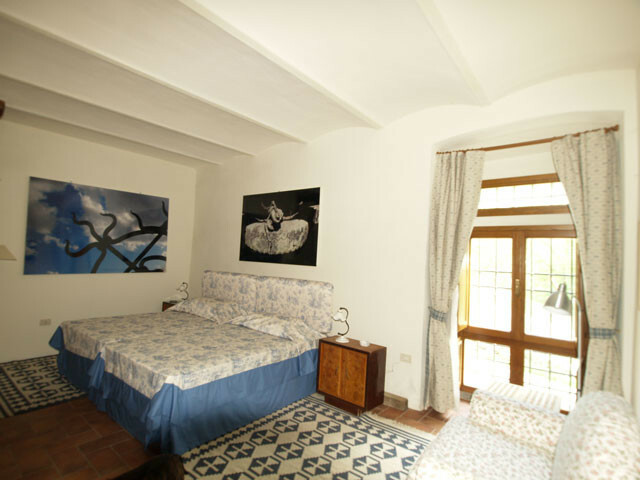 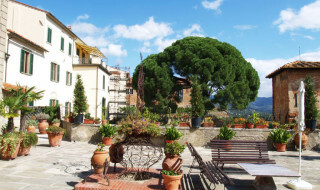 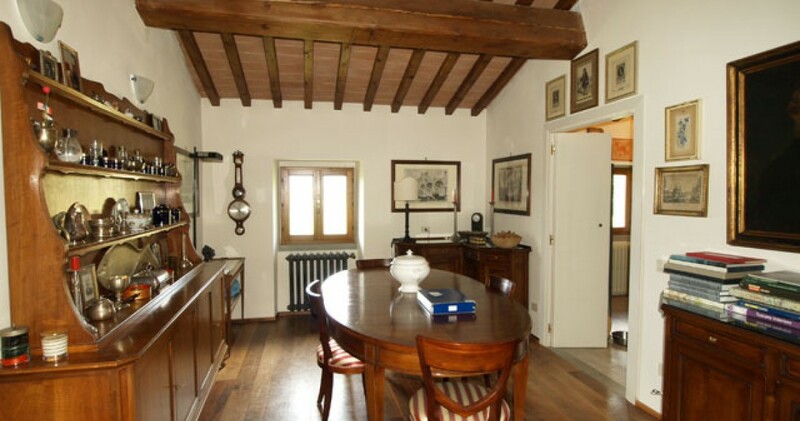 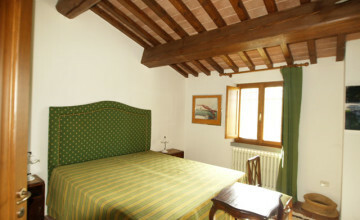 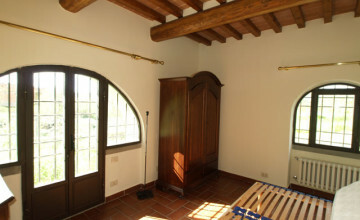 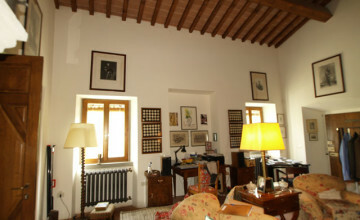 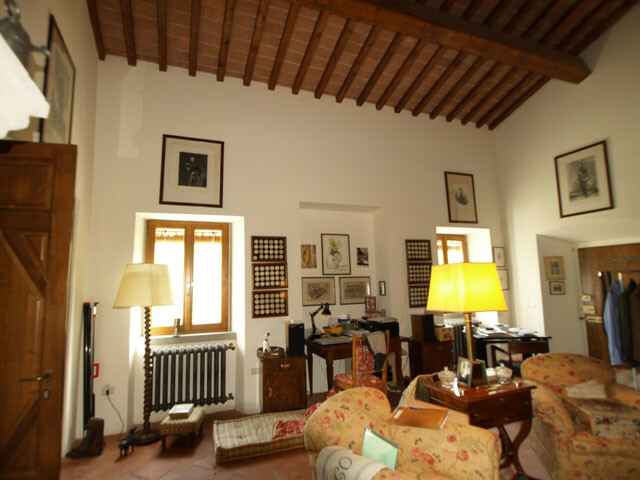 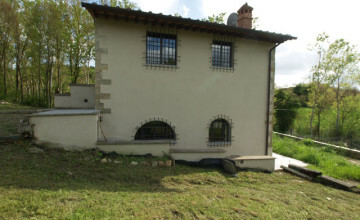 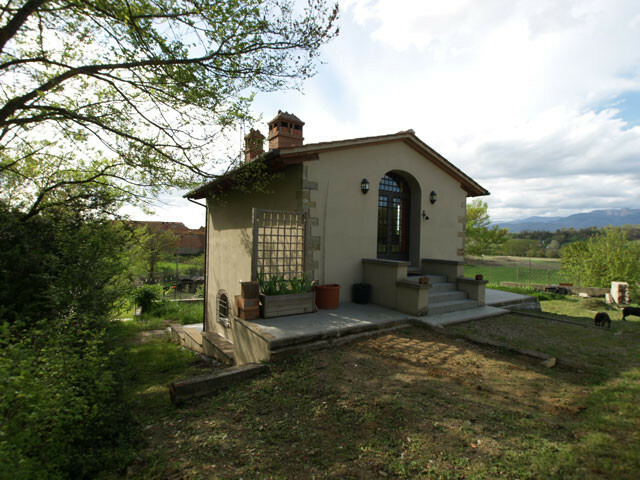 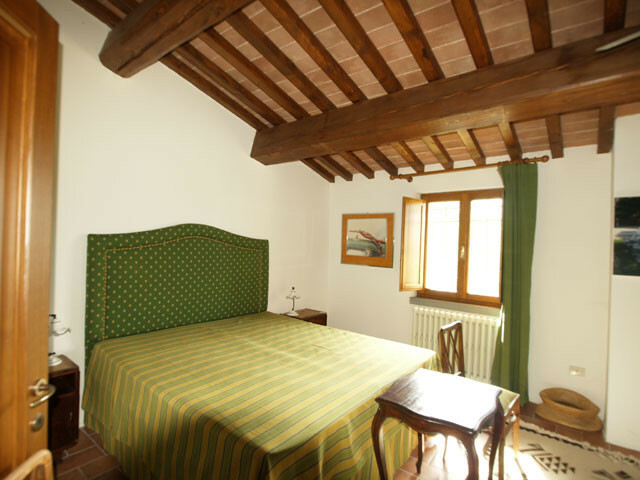 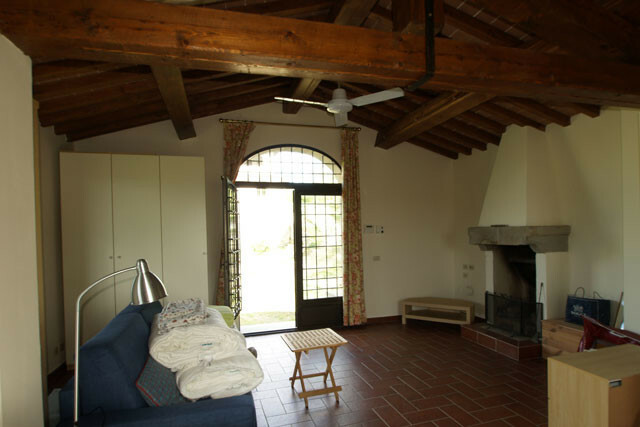 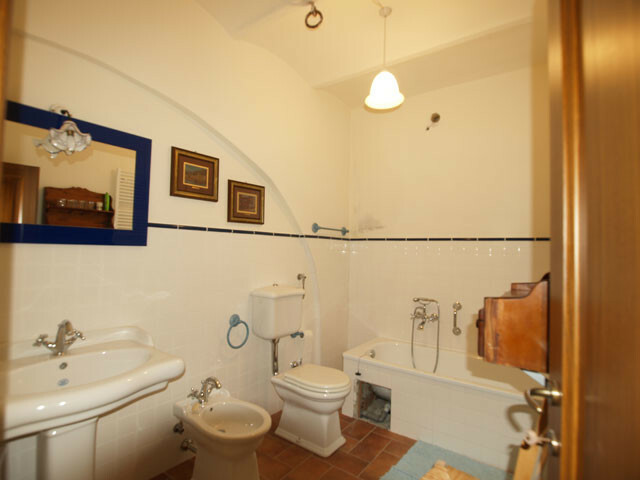 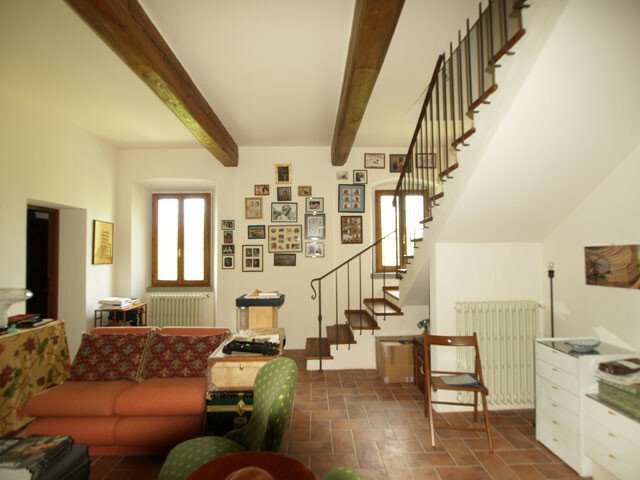 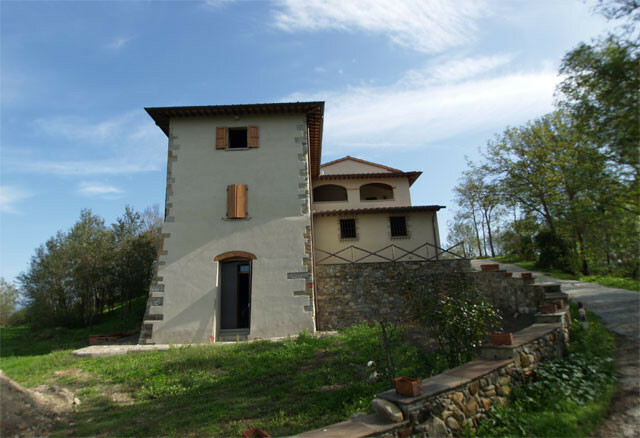 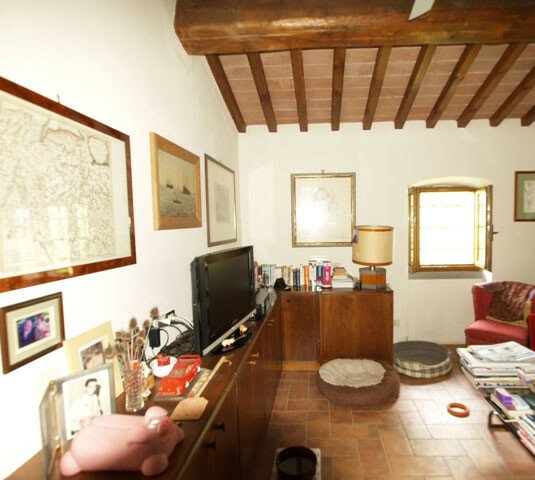 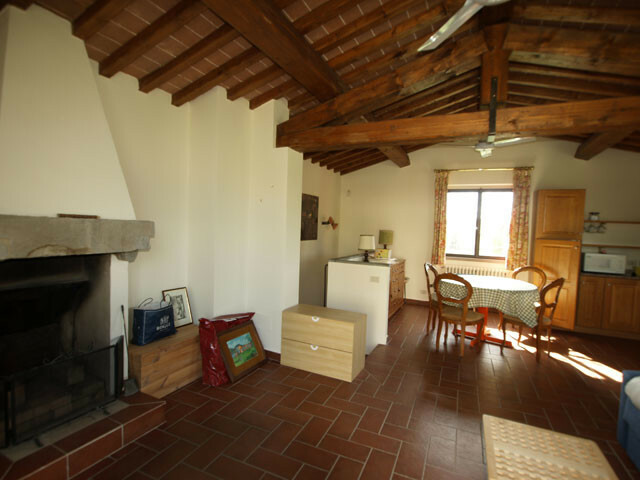 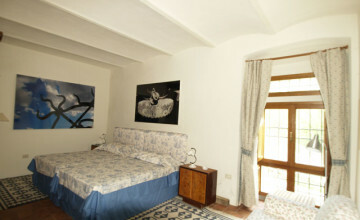 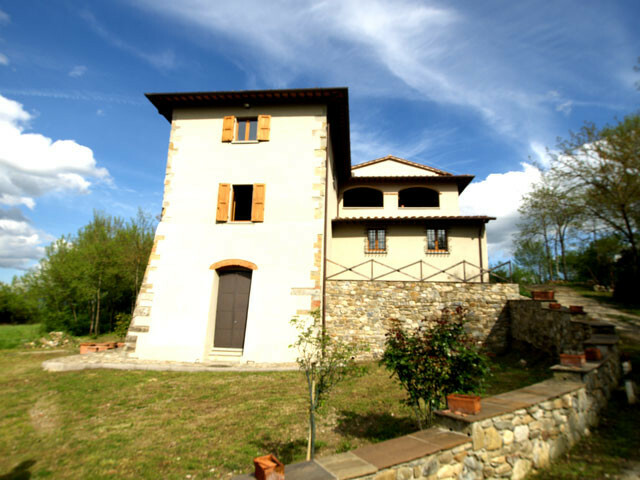 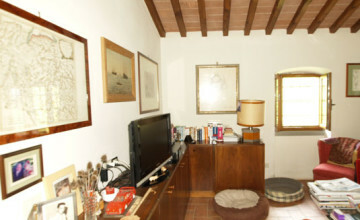 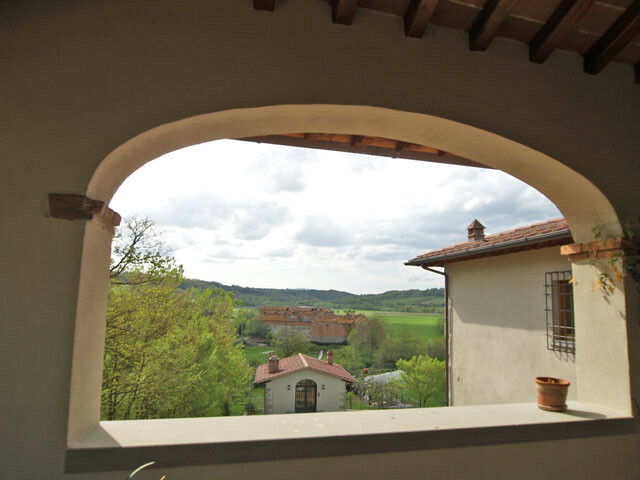 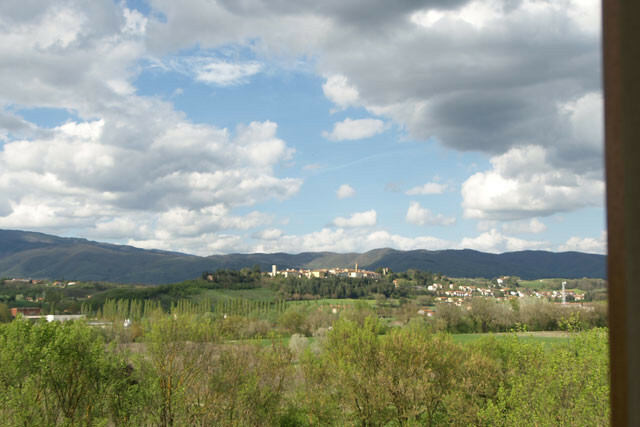 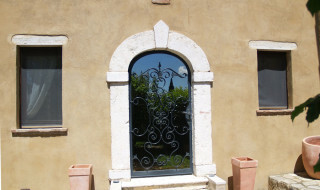 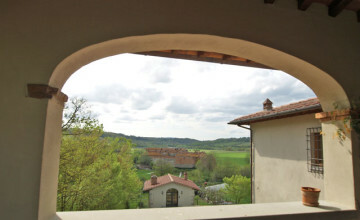 The property consists of a large ancient house (500sqm) and guest house (90sqm), both entirely renovated. 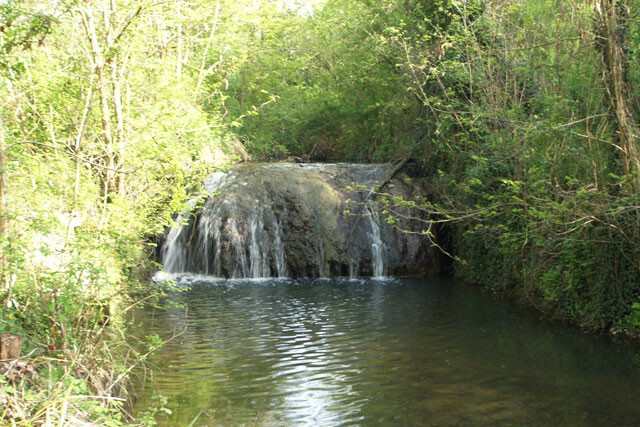 The houses are surrounded by a large field, a small woods and a stream. 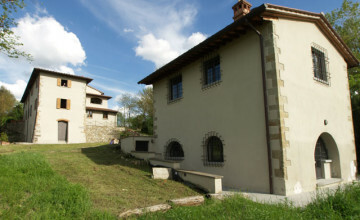 The main house built on a hill has three levels. 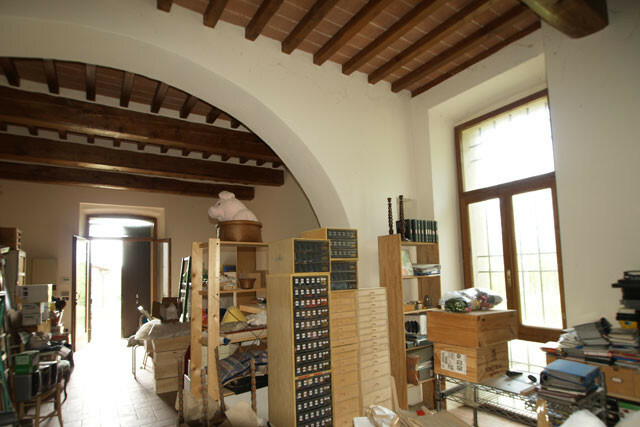 Ground floor features one large room divided by terracotta arches and could be used as a sitting room, office or play room. 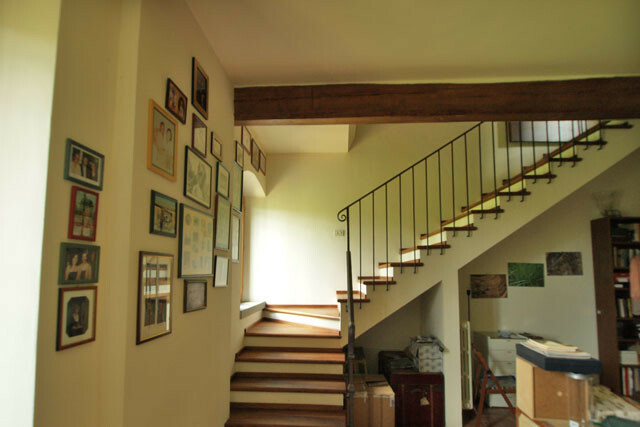 First floor has its own independent entrance, a specious sitting room, 4 double bedrooms each with en-suite bathroom and kitchen. 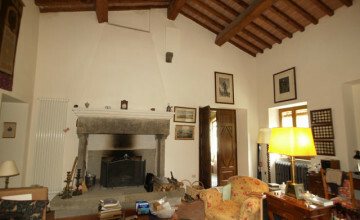 Second floor with independent entrance and connected with the first floor by means of internal staircase, consists of an entrance hall, large sitting room with large, antique fireplace, TV room, eat-in kitchen, dinning room, spectacular master bedroom with next to it, a spacious, double bathroom. 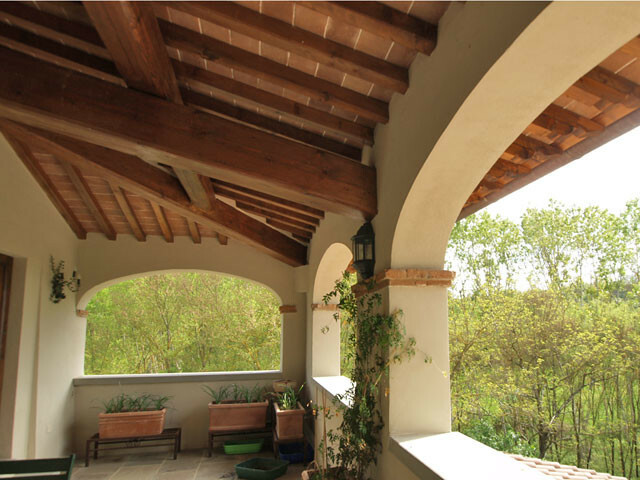 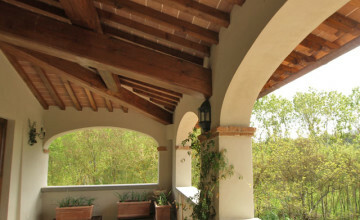 The corridor and the living room both have doors leading to the loggia which offers great views of sunset. 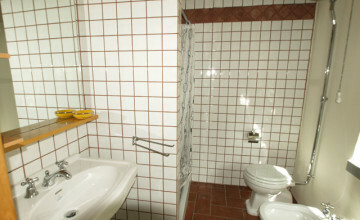 This floor features also laundry with guest’s toilet. 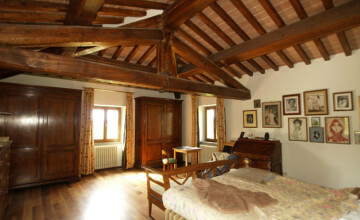 The detached guest house comprises 2 floors. 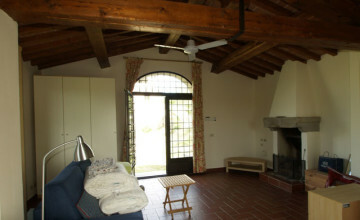 The first floor entrance leads to a spacious sitting room with fireplace and an open plan kitchen. 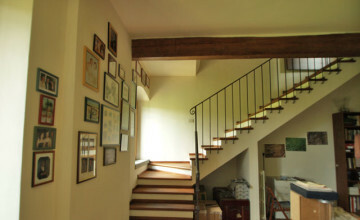 The lower level contains 2 bedrooms, a bath room with shower and washing machine. 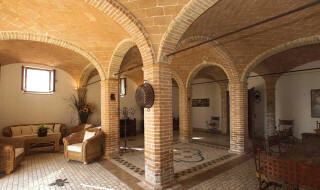 Both buildings were recently restored according to traditional, Tuscan architectures, with beamed ceilings, stone, terracotta or wood floors. 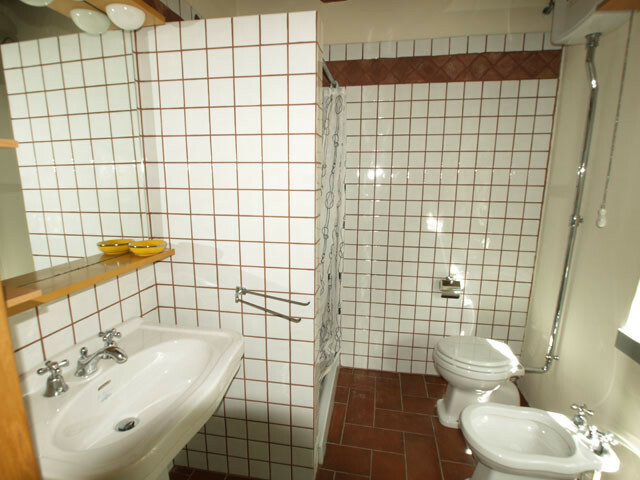 The LPG heating system is separated and independent for each floor of the main house and the guest house. 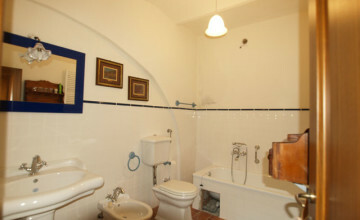 The property has 2 underground water tanks with a 10.000 litters capacity; filled directly from a private well. 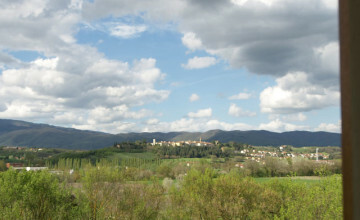 The land measures approx. 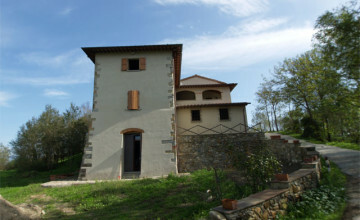 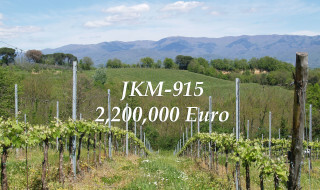 3 hectares with a garden and lawns around the buildings, agricultural fields and woodland which goes down to the stream. 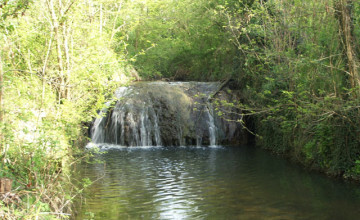 This part, perfectly maintained with several foot paths leading towards the water cascade and natural swimming pool.